Ever wake up after an active day with pain radiating down the front of your legs? You may have shin splints, a painful condition that produces inflammation in the front and lower portion of your leg. Shins splints are brought on from frequent stress placed on your shin bone and the tissues connecting muscles to the tibia. There is a higher chance of developing it when you participate in activities such as running, dancing or have a job that requires long periods of standing since there is constant pressure applied to the bone. In addition, running on uneven surfaces or wearing high heels can produce instability and also add to the chances of developing shin splints. 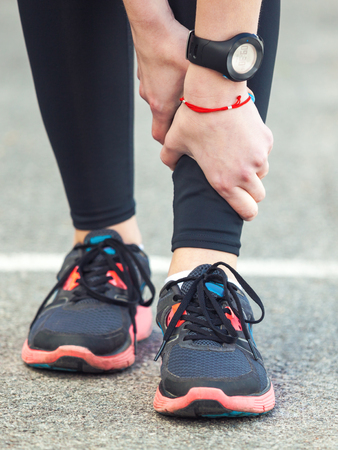 Pain and inflammation are the primary symptoms of shin splints, which typically start at the beginning of an activity and then linger throughout. When shin splints are not treated in a timely manner, the pain can become more severe, last longer, and become more significant in impeding your mobility. Appropriate attention is required to make sure you are able to continue in your sporting and daily activities. The first step in treatment is to see a foot doctor who can diagnose your condition. ● The more rest you get, the better chances you have at a full recovery. Allowing the shin splint to heal will prevent the pain from lasting. ● Use the right footwear. This is especially important for those who participate in high-intensity activities. ● Use ice to reduce inflammation. ● Take the appropriate medications to mitigate pain and allow for swelling to decrease. ● Seek physical therapy for additional benefits. It can include stretching the Achilles tendon, which will have a positive effect for recovery. Having a highly-skilled and dedicated foot doctor is key to your recovery. Here at Cange Podiatry Inc., our podiatrist, Darlyne Cange, DPM, will work with you to determine the underlying causes of your shin splints and provide treatments specific to your needs. We want you to be able to run or stand for as long as you want! Contact us for an appointment at our podiatry offices in Ellicott City and Glen Burnie, MD. We look forward to hearing from you.